Cosmetic Dental bonding is done with a composite resin material that is used to fix various dental problems. The composite bonding material can be used to fix some breaks, cracks and chips on teeth and some spaces between teeth called diastemas. If the tooth imperfections or spaces are large, bonding may not be an option, in which case porcelain veneers or crowns may be required to give a good cosmetic result. To start the tooth bonding procedure, your Bellevue Dentist will prepare your tooth or teeth for treatment by roughening the surface to be repaired and then recontouring the surface to acccept the composite resin material. Surface roughening is performed to allow the resin to adhere properly to the tooth structure when it hardens. When the tooth or teeth are properly prepared, the cosmetic dentist will apply a mixture of two different materials which have an adhesive and a catalyst in them. The putty-like composite material, which is tooth colored is applied and sculpted to correct the problems. The composite material is then carefully applied to the properly prepared area of the tooth to be fixed. 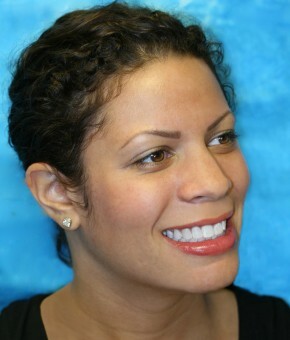 The tooth-colored composite is then shaped and smoothed to accomplish the desired cosmetic appearance. To harden the composite resin material once it is placed on the tooth, a high intensity light is used to cure it by your Bellevue Cosmetic Dentist. If the area to be fixed is large or deep, more than one layer of composite material may have to be applied and cured separately. After shaping the material, the newly fixed area is smoothed and polished to look like the natural tooth structure. If done correctly by someone well trained in cosmetic dentistry, the finished tooth colored composite should have the same appearance as its adjacent natural tooth structure. Any tooth whitening that is needed or desired should be done prior to the use of cosmetic dental bonding resins, because the resin is not effected by the bleaching process and remains its original color. Generally, composite bonding is done on teeth after they have been bleached. At that time after bleaching, the tooth-colored bonding material is matched to the newly whitened teeth. Cosmetic tooth bonding with composite material can usually be completed during one office visit, depending upon the amount of repair needed and the number of teeth to be treated. Cosmetic cases that are complicated involving multiple teeth may require more than one visit to your Bellevue Cosmetic Dentist. Cosmetic dental tooth bonding is quick and generally able to be finished in one visit to the dentist if they are properly trained in cosmetic dental work. The finished product is usually relatively long lasting, assuming the patient takes normal care of their teeth. 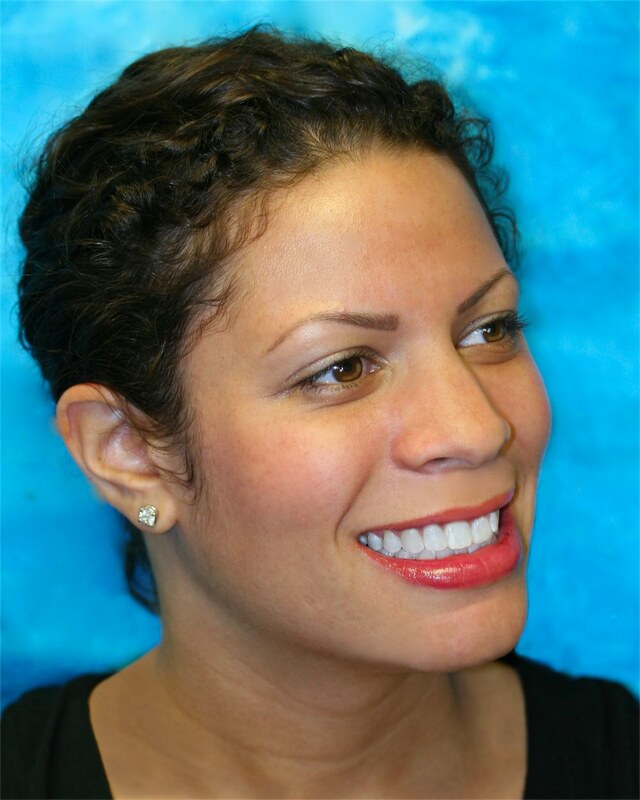 Tooth colored dental bonding is a wonderful alternative to more extensive and more expensive cosmetic dentistry treatment that is done with porcelain veneers, crowns, and bridges. Cost is often a concern for patients. The cost of dental tooth bonding varies depending upon three things: (1) the number of teeth that are repaired; (2) the size of the individual areas that are bonded; and (3) the geographic area of the country where the procedures are performed. Two other important facts about dental bonding should be pointed out. First, very frequently, dental bonding will be at least partially covered by your dental insurance, because in many cases the problems are primarily structural rather than just cosmetic. Or they may be a combination of structural and cosmetic, where the structural should be given preference as to payment by an insurance company. Strictly cosmetic dental work is never covered by your dental insurance. Since dental bonding can straighten, whiten, fill spaces and generally improve the overall appearance of your smile, the work is usually worth the cost even if your insurance does not pay any it. Second, check the amount of advanced cosmetic dental study and training that a dentist has done, especially if you are having extensive bonding performed on your front teeth. Even though there may be extensive structural problems, anterior tooth work is always going to have some cosmetic dentistry component to it. Therefore there is both a technical aspect and an artistic aspect to dental bonding, especially on anterior teeth. As always, this information is not in any way meant to replace a visit and examination by your own dentist. However, if you do not currently have a dentist, you may contact Bellevue Cosmetic Dentists, Dr Patricia Pauley or Dr Cynthia Pauley, to set up a dental exam. Both cosmetic doctors can be contacted at info@brooksidedental.com in Bellevue, WA, and additional information may be viewed at their Bellevue Cosmetic Dentistry website. Download Our Dental Implants Guide!